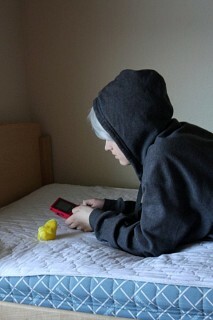 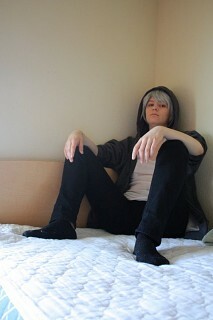 So my Prussia wig arrived in the mail on 5/7/2011. 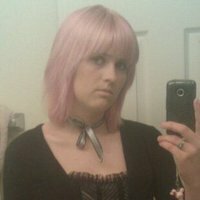 I wore it to a gathering, and then my friend Kate slept over. 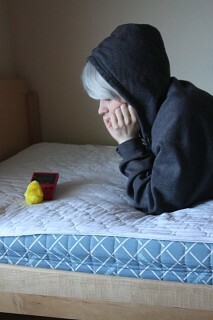 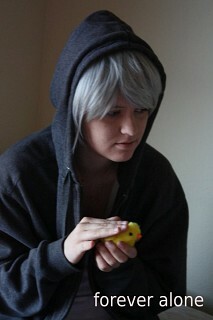 So the next morning, we did a photoshoot of me in the wig and casual clothing. 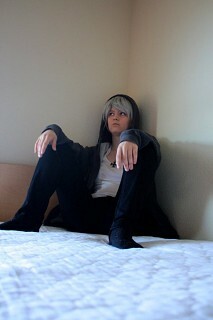 If I ever wear this to a gathering, I'll wear the contacts as well (which haven't arrived yet). 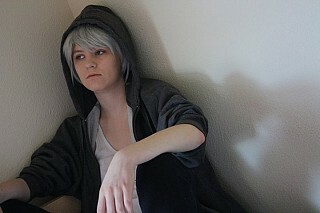 I feel very "Forever Alone" in this.